Foreign Minister Sushma Swaraj called on the visiting Malaysian Prime Minister Najib Razak on Saturday. New Delhi: External Affairs Minister Sushma Swaraj on Saturday called on visiting Malaysian Prime Minister Najib Razak. “Namaskar Malaysia. 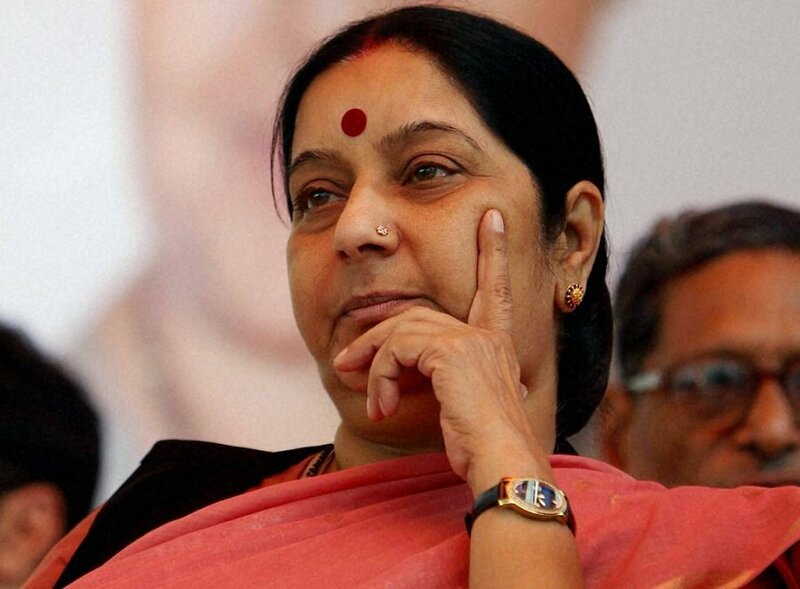 EAM Sushma Swaraj calls on PM Najib Razak ahead of extensive bilateral engagements planned during the day,” External Affairs Ministry spokesperson Gopal Baglay tweeted. “Malaysia and India share a bond that goes beyond formal relations. A friendship that is reflected in the warm welcome I received at Rashtrapati Bhavan,” Razak said in a tweet on Saturday. Earlier on Saturday, Razak called on President Pranab Mukherjee and Vice President M. Hamid Ansari. Razak, who arrived in Chennai on Thursday, is on a five-day state visit to India. Prime Minister Narendra Modi received Razak at the Rashtrapati Bhavan on Saturday, following which he was accorded a ceremonial guard of honour.